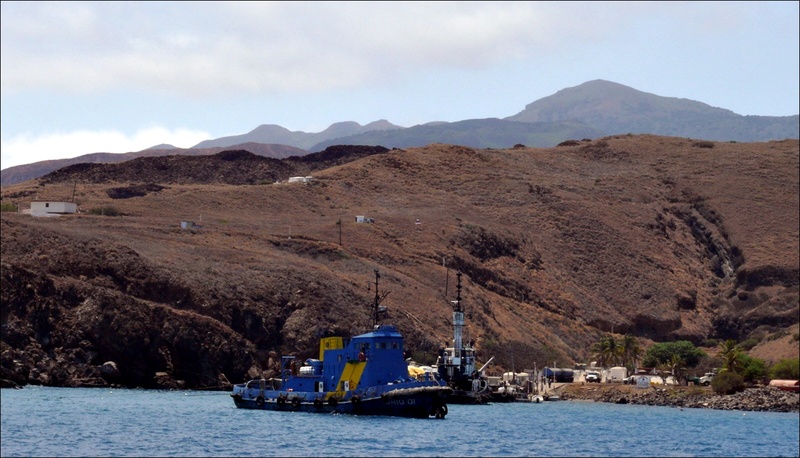 “Socorro Island is a semi-submerged cinder, slightly mildewed, and with the redeeming feature of possessing fresh water, but with the misfortune of being unable to pass it because of the repellant character of its contour (visiting ships take notice). Its single central summit has an altitude of 3706 feet above the deep surrounding sea and should in fair weather be visible from a distance of 70 miles. At first glance it appeared like a large ripe boil but it soon showed signs of discharge; in fact, it proved to consist entirely of a conical mass of terrestrial excrement. The surface it at first presented to us was thickly covered with a low tangled mass of cactus and prickly brush, too dense for penetration except for lava and ashes which have gushed out of numerous vents and crevasses and rolled their hot chocolate blanket to the precipitous border of the cone, thus rendering it unapproachable by man except for a short sandy beach on the southerly side. This is said to be accessible when the wind is in a certain favorable quarter. 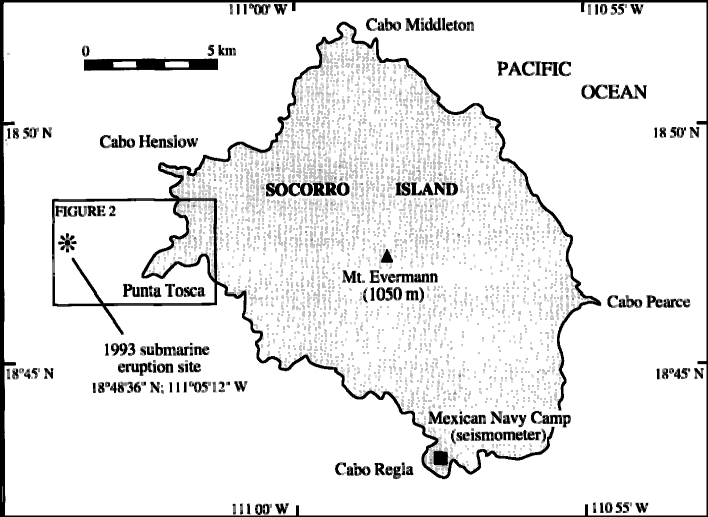 The south slope is said to grow an abundance of a certain kind of wild bean which has been eaten without fatal result (the Mexican army should be informed)…” Thus goes the enlightening description of Socorro by Edwin O. Palmer, M. D., in: “Third Galapagos Trip of the Velero III in the Winter of 1933-1934. From the Log Book of the ‘Medicine Man’ of the Trip”. 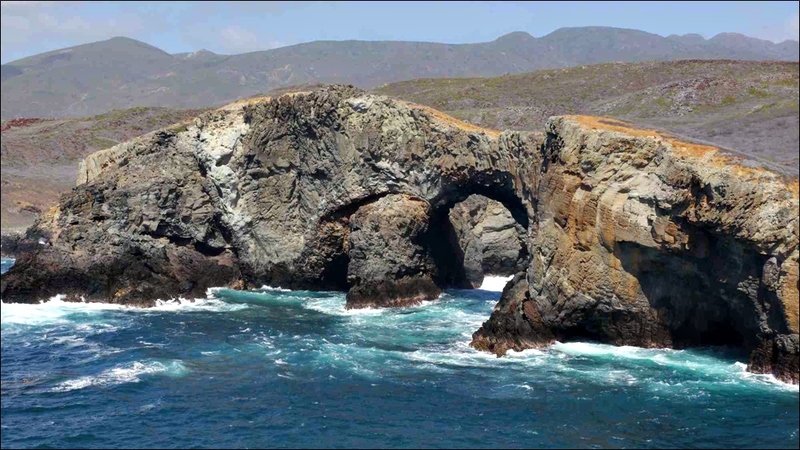 Socorro – also called Benito Juárez – lies in the eastern Pacific ~720 km off the coast of northern Mexico and is with about 15 km x 15 km the largest and the SE-most of the four Revillagigedo islands. 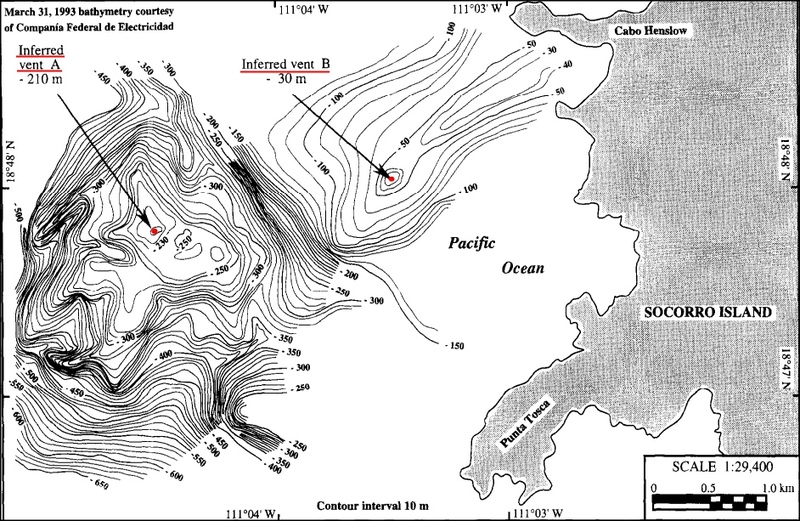 They form the emergent northern part of a chain of seamounts that make up the north-trending Mathematician Ridge – where the latter is traversed by the Clarion Fracture Zone, which combination is a good enough reason for volcanism to happen (see my earlier post on neighboring Isla San Benedicto for more geology). . 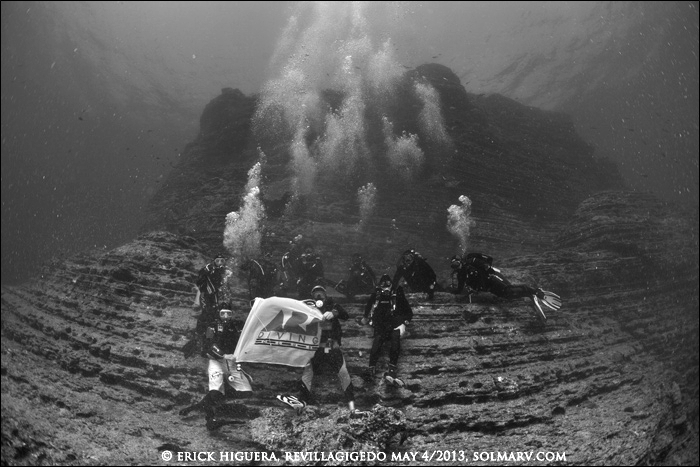 In 1957 the Mexican Navy established a naval base on Socorro (thanks for the bean tip, Mr. Edwin O. Palmer!) with 250 people – staff members and their families – living there for the time of their service. – In the 1960s Isla Socorro – along with Nord in Greenland, Easter Island, Heard Island in the Indian Ocean and Mawson Station on Antarctica – was one station of the Earth-girdling satellite triangulation programme set up by the United States Coast and Geodetic Survey. This early space based geodetic system was a forerunner of today’s GPS. Since 2005, the island is the site for HA06 – one of the hydroacoustic T-phase facilities used by the Comprehensive Nuclear-Test-Ban Treaty Organization (CTBTO) to monitor compliance with the treaty. It uses seismometers to detect hydroacoustic waves that are converted to seismic waves when they hit the shore of an island. Each of the three element sites consists of three principal sub-structures: a data acquisition system, power supply system and satellite communications system. 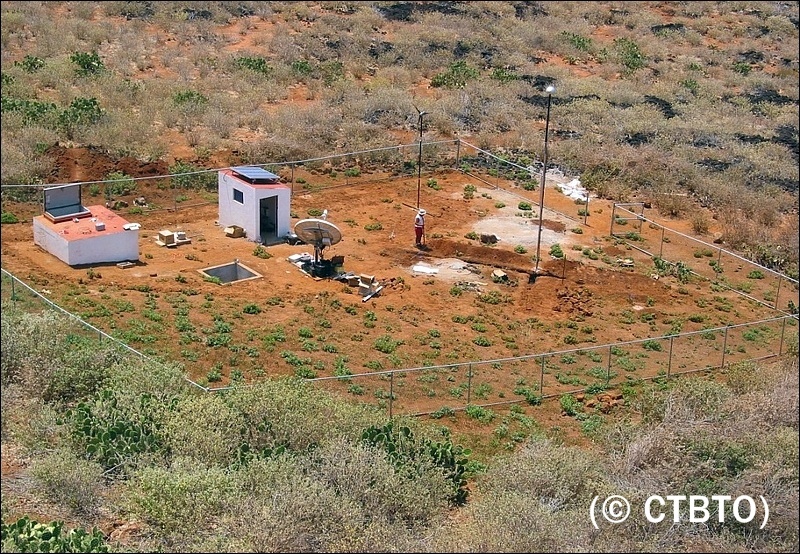 The stations also help the Geophysical Institute of the University of Mexico with the volcano monitoring on Socorro. The origin of the Socorro active volcanic behaviour has been discussed by several authors in the past. As the volcano lies on an abandoned mid-oceanic ridge, it could be a remnant volcanism related to this plate boundary volcanism. However, the time (∼3.5 Myr) of abandoned activity of the Mathematician Ridge seems too long for that. Also, the distance between Socorro and the active East Pacific Ridge plate boundary, about 500 km, is too large for a possible link to the present ridge axis volcanism (related volcanism should be found no more than 100 km away). 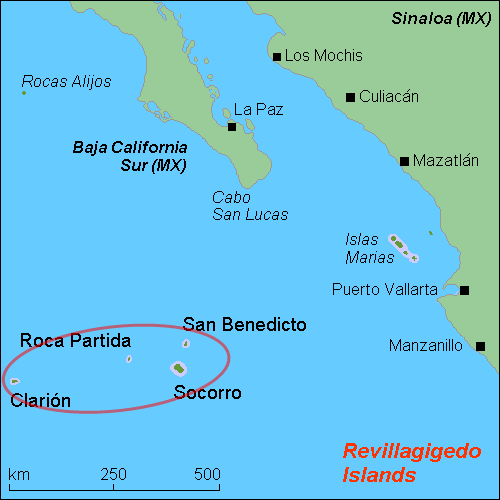 The conclusion is that the Socorro volcanic activity is most probably caused by the presence of a hotspot beneath the Revillagidedo archipelago. 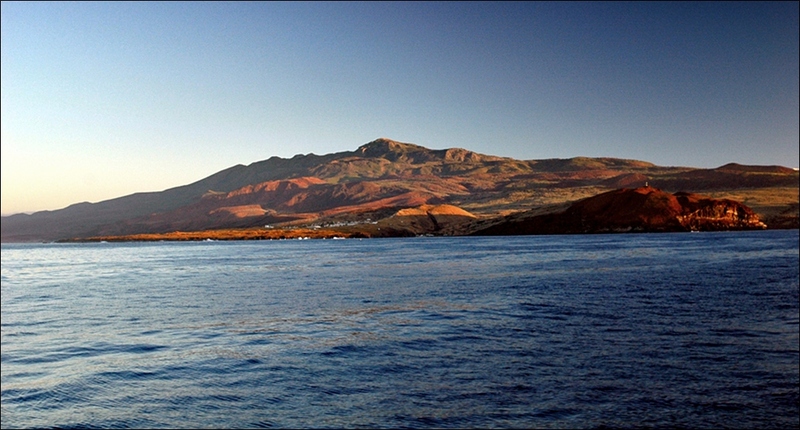 Socorro island is the upper part of a massive, predominantly submarine basaltic shield volcano. It was constructed with fluid lava flows; however, some large explosive episodes must also have taken place as ignimbrite deposits can be found exposed on different parts of the surface. The mountain is capped by a largely buried, 4.5-km-wide summit caldera. Within the caldera, Cerro Evermann has grown: a large tephra cone and lava dome complex that forms the 1130-m-high summit of Socorro volcano (named after the biologist Dr. Barton Warren Evermann, director of the California Academy of Sciences in San Francisco). An unusually large number of rhyolitic lava domes have been constructed along the rifts in its flanks as a result of slow emplacement of largely degassed silicic magma. 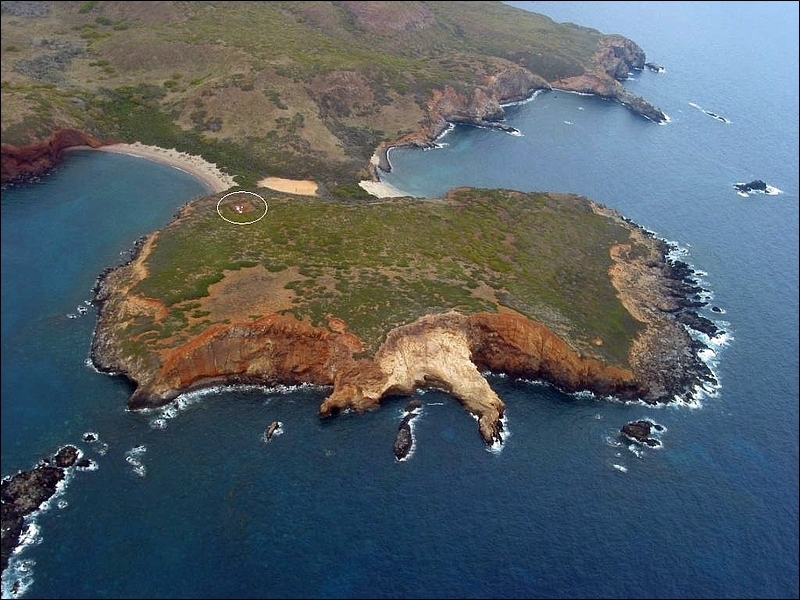 Extensive lava ﬂows spread from many of them and formed an erratic shoreline with characteristic peninsulas around the island. Such morphological features are typical of peralkaline volcanoes. Several studies propose a relatively shallow magma chamber, located in the upper oceanic crust, or in the Socorro edifice itself. Historical eruptions at Socorro have been mostly unconfirmed minor explosive events; the only confirmed on-land eruption happened in 1951. It was only a short-lived phreatic event, producing a 1200 m plume from a cinder cone on the SE side of the island. The last activity was a submarine eruption in 1993 from offshore vents 3 km W of the island, during which large lava blocks and balloons, reportedly up to 5 m in size, floated to the surface. It is not clear for how long the eruption went on, GVP says until end of Febr. 1994; other sources state a duration from 1993-1996. In any case, between 1993 and 1996 a steady deflation of the volcano (directly pointing in the direction of the crater summit) was observed using DORIS* technology. 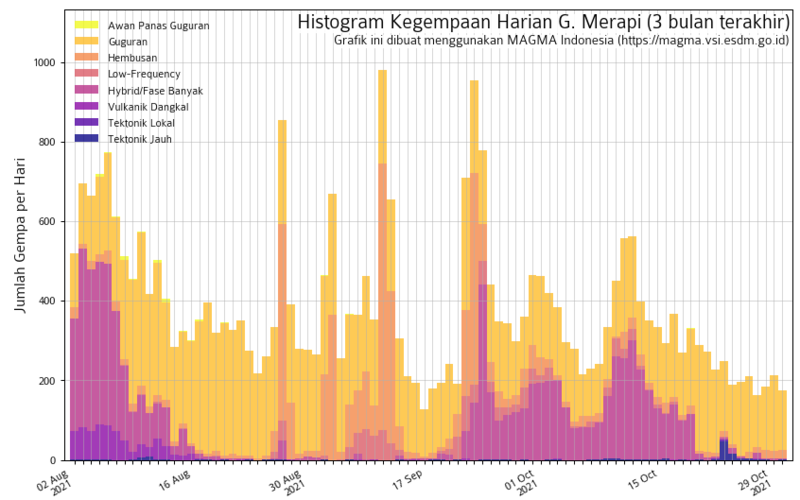 This duration might indicate that the submarine vents were actively draining the magma reservoir for 3-4 years. The earliest reliable evidence of an eruption appeared on 19 Jan. 1993, when signals characteristic of submarine volcanism were registered by hydrophones located at Hawaii and Tahiti. A precise bathymetric survey later confirmed the existence of two separate vents at 210 m and 30 m depths. On Jan. 29, professional underwater photographers aboard a private vessel reported seeing small vapor columns which they initially believed to be a burning boat or whale spouts. Coming near, though, they saw numerous dark hot rocks rising from below, hissing, fracturing and bursting on the surface, and finally sinking. Distant eruption sites could also be recognized from the island on Febr. 4, in an area of about 1 km radius, where 1 to 3 m wide blocks of hot, dark-gray, highly vesiculated basalt were rising buoyantly to the surface. The boulders remained drifting on the surface, emitting loud hissing noises and cracking from thermal contraction into smaller pieces until they sank back into the sea. Often vapor clouds several meters high were produced and occasionally blocks were violently propelled laterally by horizontal steam jets. Floating rocks covered an area of about 6000 m². Siebe et al. researched this eruption and analysed these balloons. They found that most of them were of a highly vesicular glassy material called reticulite, contained within a relatively thin crust. They wrote in their 1995 study, this was, to the best of their knowledge, the first reported occurrence of basaltic reticulite formed in a submarine eruption. * DORIS is an advanced downstream service for the detection, mapping, monitoring, and forecasting of ground deformations, including landslides and ground subsidence. It exploits ESA ERS-1/2 and ENVISAT C-band Synthetic Aperture Radar (SAR) archives to provide very long time-series of ground deformations. Reticulites, also referred to as “glass foam”, are characterized as exceptionally gas-rich pumice stones with an extremely low rock content of 0.5-1.5%. This rare rock can form on land or under water and has been found in volcanoes which produce very liquid lavas like Kilauea or Piton de la Fournaise. It erupts as a foamy, very gas-rich lava which on cooling quickly looses its gas content. Thereby the extremely thin walls of the bubbles are destroyed and just the corners and edges of them remain. Reticulites have a density of 0.02-0.03 g/cm³ and are thus the lightest rocks in the world. Originally the rock was called thread-lace scoria. 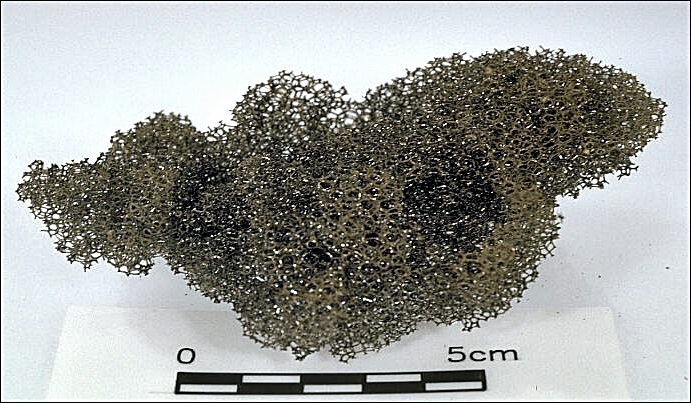 Despite the low density of the rock reticulite does not float in water like common pumice scoria, because the bubbles inside are inter-connected and fill with water soon after loosing their hot gas content. The idea of lava blobs (or blebs?) rising to the sea surface without causing any signs of an explosion made me ask what type of eruption this could be. It seems that this kind had not been clearly defined before 2013, when Rotella et al. suggested to name it “Tangaroan eruption style” after the Maori god of the sea (I thought for that type there was already a term “Azorean style” since the 1998–2001 Serreta eruption? I couldn’t make out a difference yet). In this type, the eruption rate is insufficient to cause magma to fragment explosively, yet too high to passively feed a lava dome. 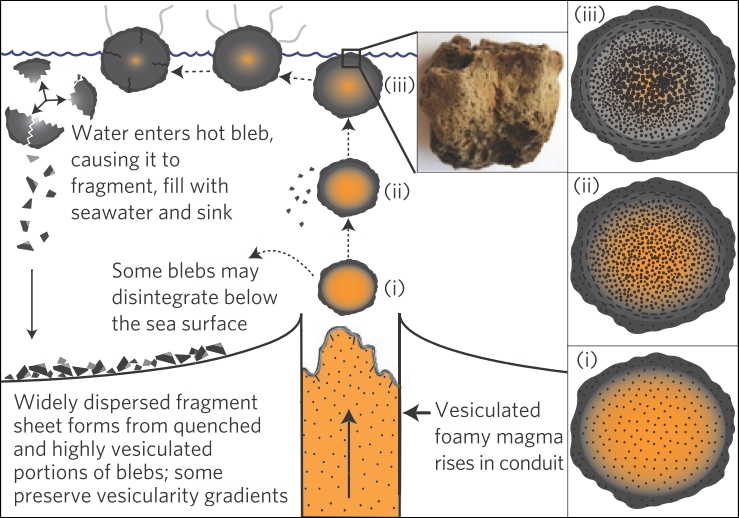 Instead, the magma foam buoyantly detaches at the vent and rises as discrete magma parcels, or blebs, while continuing to vesiculate internally. Although very few pre-caldera rocks are exposed, the bulk of the Socorro shield volcano is considered to be composed of alkaline** basaltic rocks. The earliest eruptive period was a shield-building phase that created the submerged portion of the island; it is thought that the volcanoes emerged as islands in the late Tertiary. 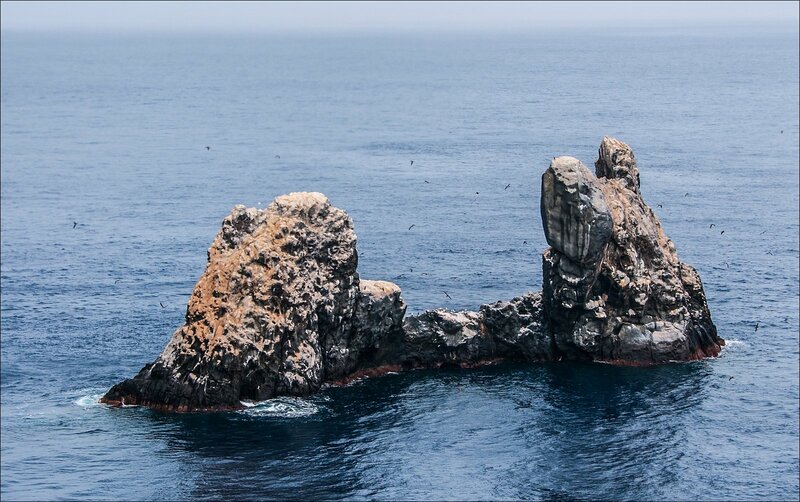 The stratigraphically oldest rocks on the island’s surface are thin flows of alkaline basalt, which are exposed in the sea cliffs at Cabo Pearce in the SE. The middle flanks of the volcano contain pre-caldera and syn-caldera trachytic and rhyolitic ash flow deposits, erupted between about 540 and 370 ka (the eruption at ∼370 ka probably produced the small caldera). Of the post-caldera products there are on one hand also alkaline basaltic rocks mostly erupted between about 150 ka and 70 ka. These are largely restricted to the southeastern part of Socorro and are variably altered, blue-green to black lava flows, domes and ignimbrites. On the other hand, Sorocco is unique in the Pacific in that its top, i.e. 80% of its land surface, is made up of silicic peralkaline (SPA)** trachytes and rhyolites, mainly as ash flow tuffs. The summit region, including Cerro Evermann, consists entirely of SPA rocks, erupted in an explosive period accompanying caldera collapse and up to at least 15 ka. This eruptive period was initiated by downfaulting of the western half of the island, accompanied by pyroclastic eruptions and pumice/obsidian flows that built Cerro Evermann, filling and largely obliterating the caldera. Late in this period, viscous rhyolite and trachyte flows issued from high-level vents on Cerro Evermann. Late-stage eruptions have again produced basaltic cones and flows nearer to the coast. A recent study tried to determine the age of the youngest lava flows. They found that those are overlying volcanic and also lacustrine (lake, swamp) deposits of abt. 5000-6000 years. So the latest flows would be younger – or could be even much younger. Present activity on the island seems to be restricted to fumaroles near the summit of Cerro Evermann, and steam emissions from several lava tunnels on the southwest side of the island. Fumaroles appear at the base of North Dome, which is apparently the youngest feature in the summit area. This dome has obsidian margins and appears to have filled an older crater in a depression about 100 m below and to the north of the summit. 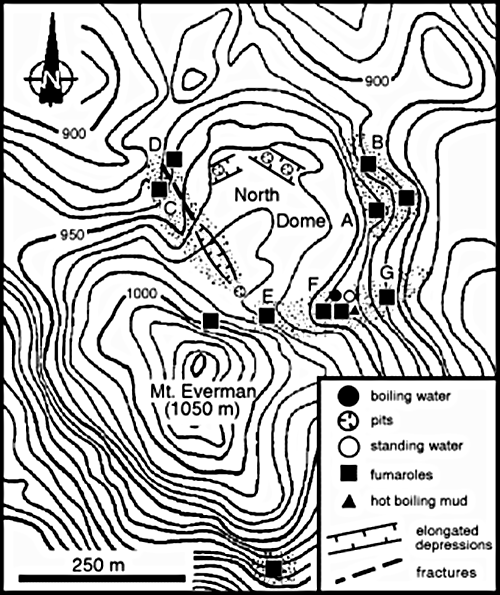 The most hydrothermally active areas are around the base of the north dome, marked by long earth cracks and several-meter-deep pits. More than a hundred individual steam vents and several boiling water and mud pools, clay alteration, sulfates and sulfur encrustations can be seen around the dome and on its slopes almost up to the summit. The surface of the dome and surrounding slopes are intensively altered within an area of approx. 1.5 km². Temperature measurements taken in 1993 and again in 1996 showed a clear increase of several degrees; researchers saw new fumaroles and active pits, recently killed vegetation and soft warm ground. They also noted three ‘mud volcanoes’; two were active and the third issued deep rumblings – these were all taken as signs of reactivation (GVP). 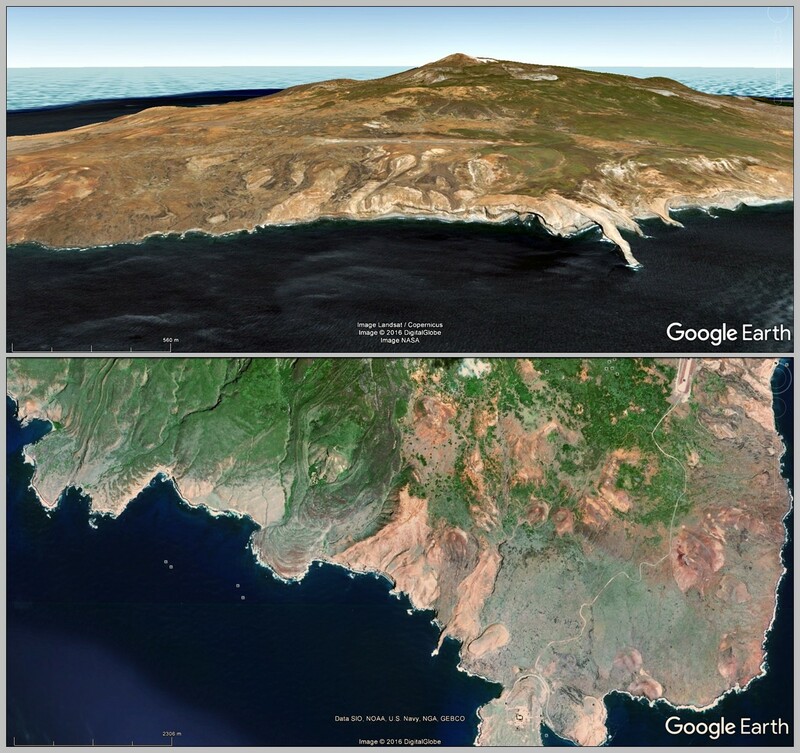 SO REMOTE – YET RISKS TO THE CONTINENTAL SHORE? Fast-moving lava ﬂows have been erupted on Socorro Island in the past, and a renewed activity of this type would naturally be a volcanic hazard. Also many explosive eruptions have occurred on Socorro during its relatively recent volcanic history. There is no question that the resident Naval Base staff could be severely endangered in case of an eruption similar to that on neighboring San Benedicto island, which wasn’t even particularly big (VEI=3) but devastated the whole island. So, hopefully the hydroacoustic T-phase facilities installed for the CTBTO with their seismometers are working flawlessly to monitor new activity. Yet there are other concerns on the continent as well. Since 1993, when a new eruptive period began on Socorro, people and Civil Protection workers have been worried about the possibility of a destructive tsunami hitting the Mexican coast of Colima. 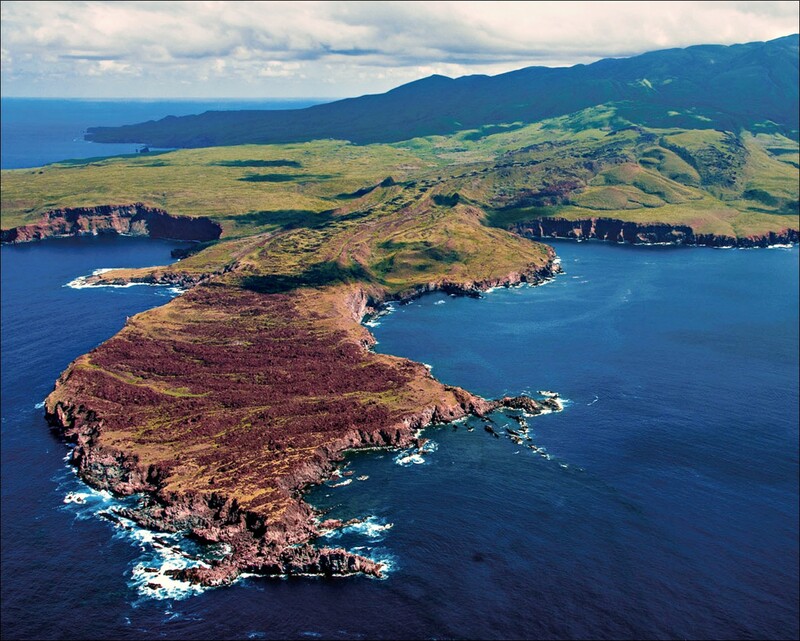 Large landslides into the sea could be caused on Socorro island by an eruption or earthquake swarms. Though unlikely, in case of a really big eruption on the island a tsunami is certainly in the cards. And what the Sorocco volcano may be capable of is not well-known yet, much further research needs to be done on it. 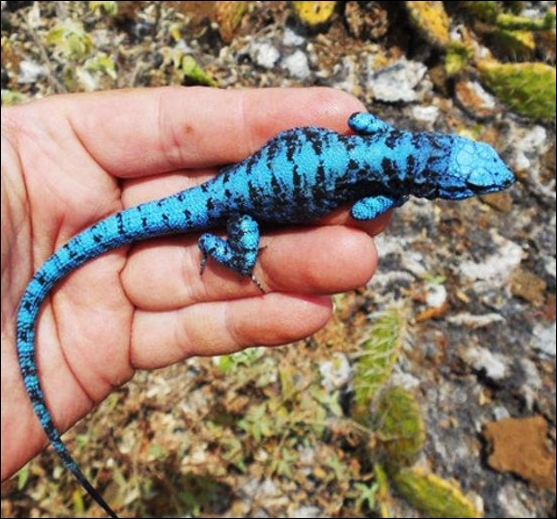 As with many islands all over the world, on Socorro local Fauna and Flora has suffered heavily by the introduction and later abandonment of domestic animals. In 1869, 100 sheep were introduced to Socorro Island for ranching (they supplied food to boaters and fishermen); left alone, they grew in numbers so much that in parts almost all of the former vegetation got eaten and other animals lost their living bases. Especially the endemic ground-dwelling Socorro Dove (Zenaida graysoni) is now extinct on the island and other native species like the Socorro blue Lizard or the endemic birds Socorro Mockingbird (Mimus graysoni) and Socorro Wren (Troglodytes sissonii) were decimated in eroded areas. Concerned people have now succeeded in removing the sheep using some unusual measures: aerial hunting was aided with GPS and geographic information systems (GIS); terrestrial hunting was helped by “Judas sheep” = animals equipped with radio collars. Almost 2000 sheep have been cleared from the island. 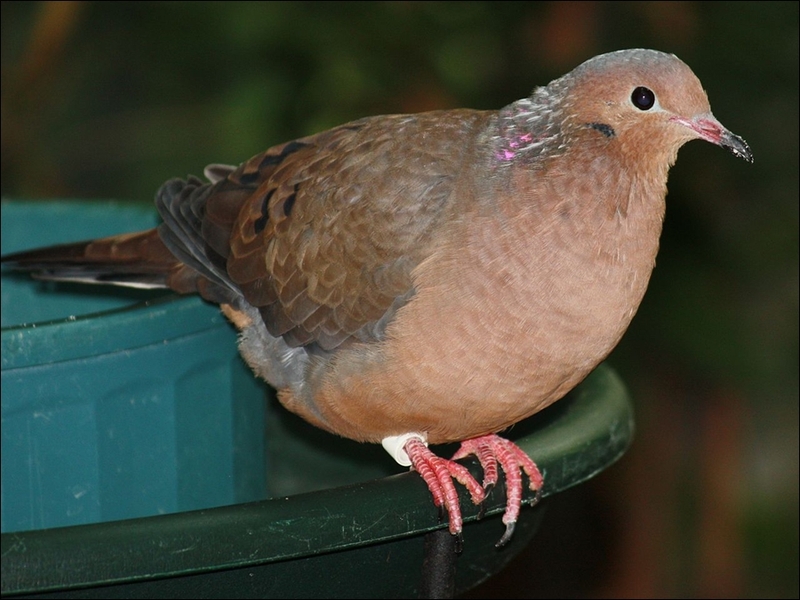 It seems that only feral cats are still at large; when they are gone, a re-introduction of the Socorro Dove (from the European Endangered Species Breeding Programme) can possibly restore this pretty bird to the island. ← What is a low velocity zone and why should I care? Japanese authorities have lowered the alert level for ASO to 1, removing the official 1km restriction zone. For the first time after the powerful ash eruption on 7 October 2016 some people were allowed access to the vicinity of the crater. 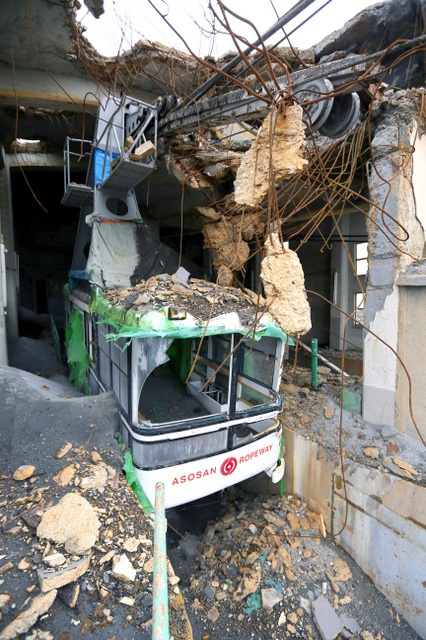 They reported absolute devastation of facilities like pathways and shelters, also the ropeway station is demolished. The area will still remain closed to the public until repairs are finished. nice one with the reticulite Granyia ! The floating stones remind me of El Hierro, but the lava composition was different and the Restigolitas were not so spectacular. Thanks for covering this fascinating part of the volcano world!